As a wedding planner, I am often asked for simple ways to include Maltese Culture in a Destination Wedding in Malta. So here are my top simple tips for adding a touch of Malta to your wedding. 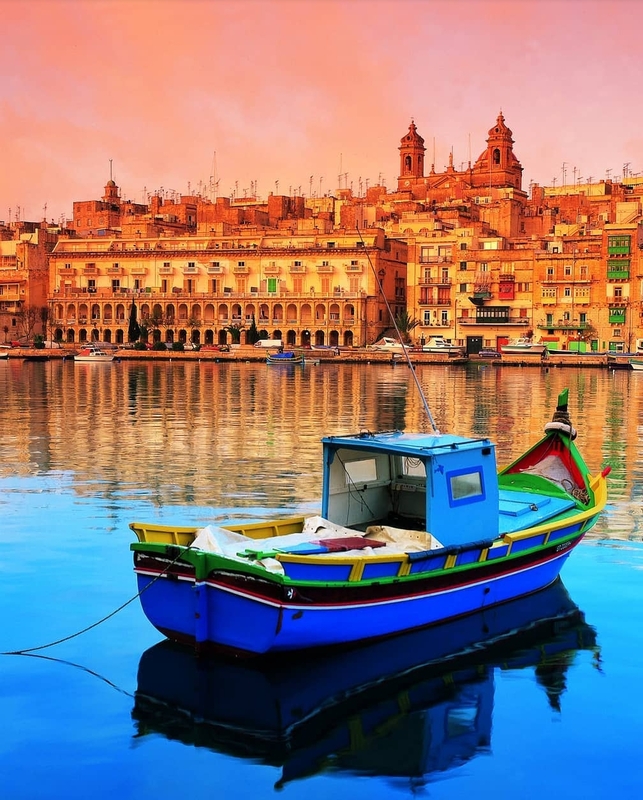 Malta is an island rich in history. You don’t have to go very far to see a historical fort, limestone buildings or the traditional luzzu boats. 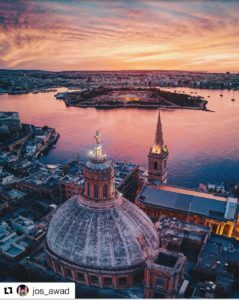 Choosing a venue with views of these incredible delights will be enough to immerse your guests in Maltese Culture. I bet you didn’t associate this tiny island with wine making. 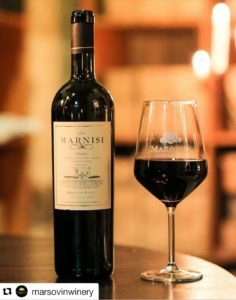 Marsovin and Delicata are two of the most renowned wineries in Malta and you will find their produce on virtually every menu in Malta. A glass (or three) of these wines would be the perfect accompaniment for your wedding buffet. 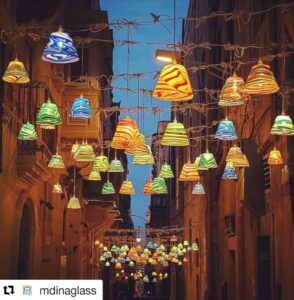 Mdina Glass is to Malta as Waterford Crystal is to Ireland. I take a visit to the Mdina factory store in Ta’Qali on almost every trip to Malta. There is something incredibly unique and appealing about each piece. Thankfully, Mdina Glass now have a rental option so you can style your wedding with a variety of items from their events range. If you haven’t seen a fireworks display in Malta, then you haven’t lived. 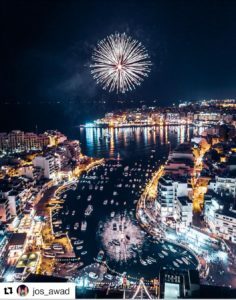 Firework displays take place to coincide with the various Festi that are celebrated across the island. These are village festivals which happen throughout the year which celebrate various patron saints. If you are not lucky enough to celebrate your wedding during a Festa, you could surprise your guests with your own fireworks display. 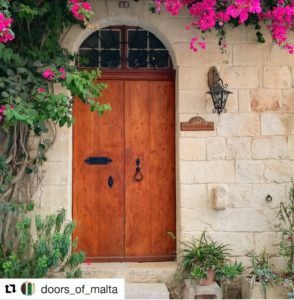 Is it just me, or is anybody else completely intrigued by the doors of Malta; the colours, the intricate designs and those unusual knockers. These make an incredible back drop so be sure to incorporate this on your photographer’s shot list. 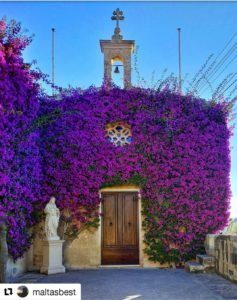 These brightly coloured flowering plants grow wild throughout the small villages and countryside of Malta. Is any wedding photo complete without a stunning backdrop like this? Check out my Instagram account for more Maltese inspiration for your wedding in Malta and further ways to include Maltese Culture on your wedding day. Planned By Tara is Ireland’s ONLY wedding planner dedicated to destination weddings in Malta. We are passionate about creating stylish and bespoke events for Irish and UK couples longing for a fun, unique and memorable wedding in the sun. We place a great emphasis on quality-led planning a design, so we work to source the most beautiful outdoor venues and the best suppliers to bring your dreams to life.